Rayman (PS1) - Think You Can Beat It? Home Featured Articles Rayman (PS1) – Think You Can Beat It? Rayman (PS1) – Think You Can Beat It? It’s hard to overestimate just how influential mascot games were in the 1990s, especially those based around a platforming concept. Rayman for the PlayStation may have come out in 1995 but it looks every bit the modern game with its luscious, gorgeous graphics and timeless gameplay that do not betray its origins in another era. But the illusion does not last for long as Ubisoft’s game is not only old-school tough but also offers no aid along the way unlike most modern games. Making its way from the Atari Jaguar to the PlayStation was not much of a leap in terms of graphics for the game, but the transition to a more popular console did wonders for the franchise. Though it is a showcase title for Atari’s failed Jaguar, the game is also a technical display of prowess for the PlayStation One and its appearance as a Saturday morning cartoon done for Disney only amplified this feeling. As the title character you will make your way across six different worlds that each adhere to some kind of general aesthetic theme as is expected with side-scrolling platform games. Like the Sony titles, you are a liberator though you are not a fast one. Rayman is a much more considered game and the pacing reflects that. Indeed, there are times when everything in Rayman combines for a vision so lush and impressive that it is tough to distinguish friend from foe from background, leading to many an accidental death at least in the beginning. 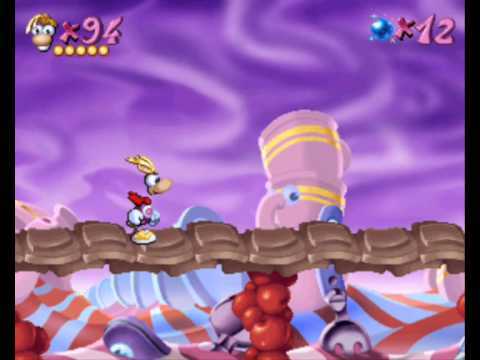 Rayman is armed with a fist that he can propel away from his body to take out enemies as well as the traditional jumping mechanics found in Mario games. 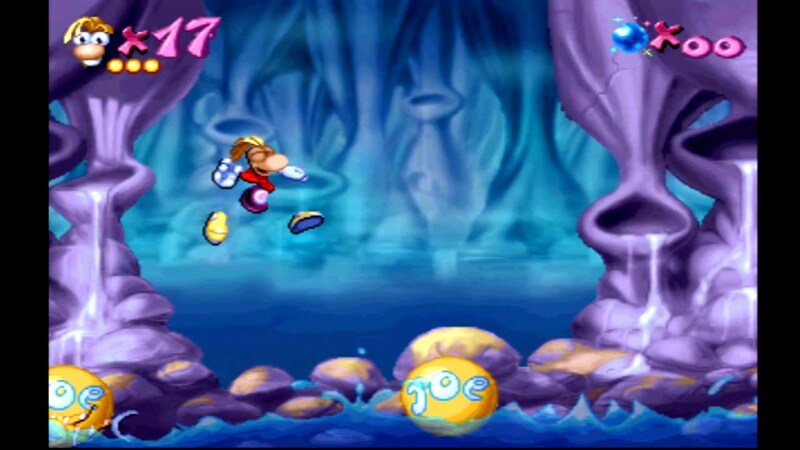 The stage is over when Rayman makes it to the end and the game is over once he runs out of lives. Quite simple in mechanics and execution, Rayman truly only innovates in presentation and pacing. Even somewhat slower than most Mario games, Rayman is an experience and it revels in that. Geared towards an audience raised on Disney films, Rayman places a premium on the whole package that many designers tend to neglect. The story, while simple, is serviceable and expected for the time while the artwork and soundtrack are truly next level even by today’s standards. When it dropped to retail in 1995 Rayman was coming out at a time when the Super Nintendo’s Donkey Kong Country was giving everyone a run for their money and showing the world that 3D graphics were the future. The release of the first-ever CG movie in the form of Pixar, an iconic classic, didn’t help things and giving Rayman a lot to prove on day one. But, if the game has proven anything, it is that the title has staying power and, across the generations, Rayman has remained largely unchanged and is still bestseller even now. 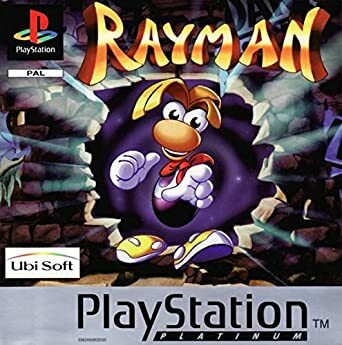 Its inimitable combination of tight platforming gameplay with a beautifully realized world place Rayman at the top of 32-bit era games that are still played to this day. Pixar is a studio, not a movie. Did you mean Toy Story, perhaps?